K2 Specialist Services is part of the Applus+ Velosi network that spans five continents and has operating offices in Houston, Brazil, Korea, Abu Dhabi and Singapore as our Headquarters. Our multi-disciplined teams can be mobilised from all the major oil and gas regions, including the US Gulf of Mexico, West Africa, the North Sea, Middle East and Asia Pacific. 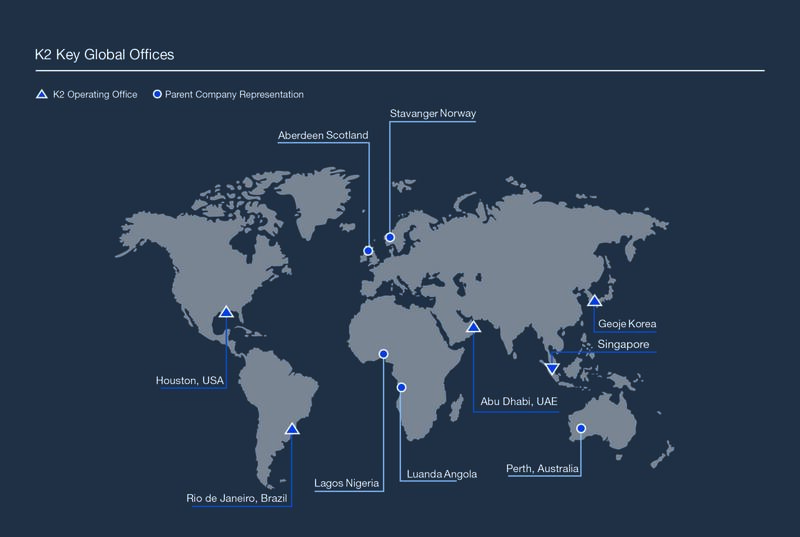 We have operating offices close to shipyards in Singapore, Korea and Brazil. Our teams provide lifecycle services to assets anywhere on the globe whilst maintaining centralised on-line reports.